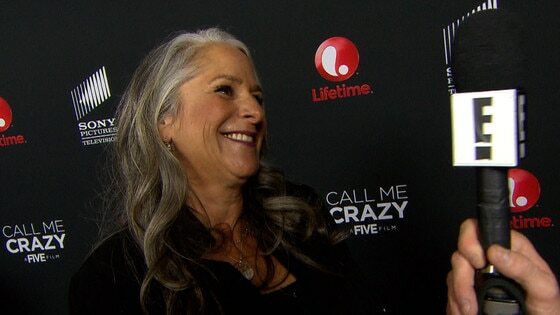 The show's co-creator Marta Kauffman tells E! News exclusively that there's no truth to the latest rumor of the cast coming together for another season of the show. "I'm going to clear this up—it's not happening!" she said at last night's red carpet screening of Call Me Crazy, Lifetime's movie about mental illness premiering on the network on April 20. Kauffman also said a movie reunion will never happen. "Friends was about that time in your life when your friends are your family and once you have a family, there's no need anymore," she said. Funny enough, Kauffman said she learned of the new rumor when she overheard some people at a bar talking about it. Earlier today, the internet was lit afire by a rumor that Friends would be coming back for a reunion season. Though reps for NBC and Warner Bros. studios have yet to respond to request for comment, a source at NBC told us the rumor was "not true." And now we have exclusive confirmation from Kaufman that not only is it not happening now, but we shouldn't hold our breath for anything in the future. A sad day or Friends fans indeed. Stand by for more exclusive info directly from Kauffman, and be sure to tune into E! News on Tuesday at 7:00 p.m. and 11:30 p.m. for more from the Call Me Crazy premiere!